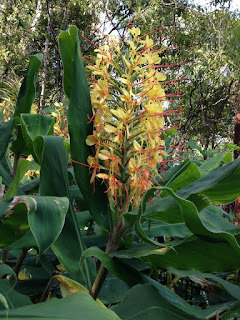 Ginger lily is native to the Himalayas. It is now naturalised in bushland areas on the east coast. 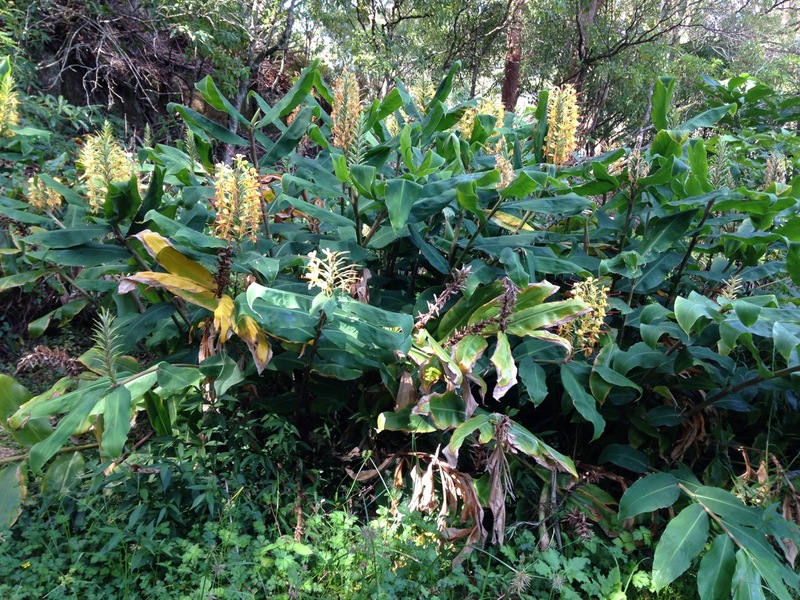 Ginger lily is also very poisonous to grazing animals, and can be fatal if enough of the plant is ingested. 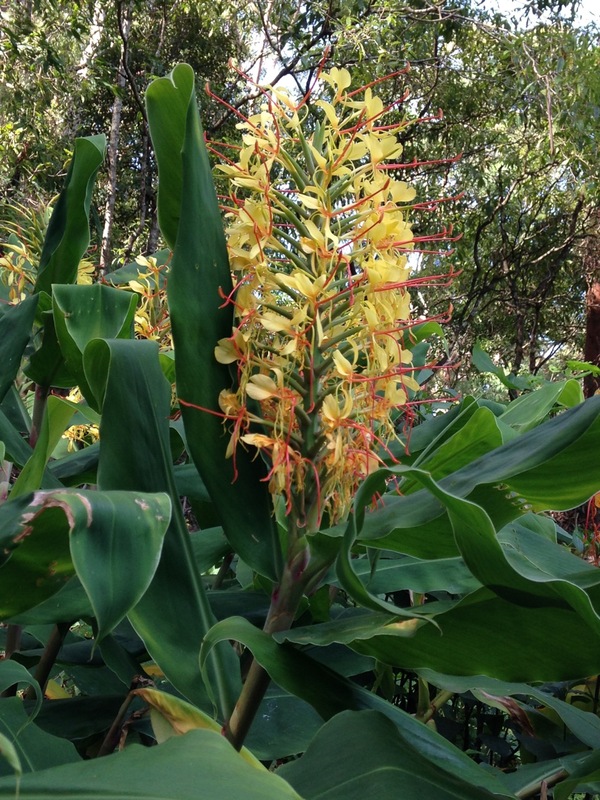 Ginger lily grows to 2m tall, with long strap like leaves and large spikes of perfumed flowers. 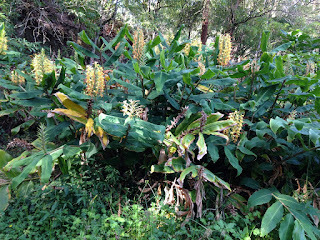 This plant forms clumps with deep matted roots. It is found in moist places. Flowers are bright yellow, fragrant and appear in summer to autumn. 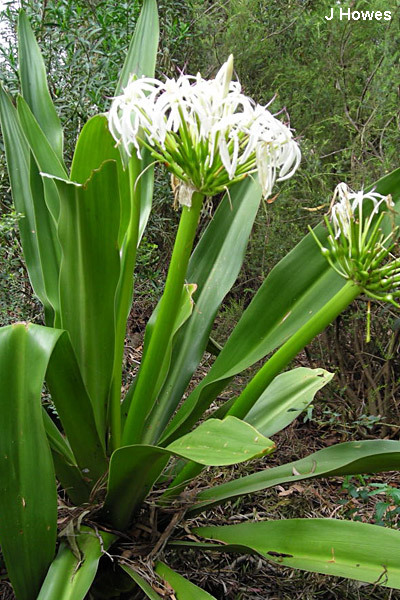 It grows most abundantly in open, light-filled habitats, but can grow into deep shade. It forms vast, dense, colonies that smother and displace native groundcover vegetation. Dispersal: Clumps spread rapidly from underground rhizomes. The seeds are readily dispersed by birds and other animals that are attracted to their bright colours. Removal: Plants can be dug up or pulled out depending on size, but the entire plant, including pieces of rhizomes need to be removed to avoid regrowth. Seeds and rhizomes should be place in the red bin. Leaves and stems can be put in the green bin. 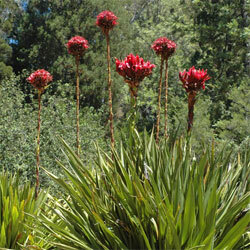 Gymea lily - Doryanthes excelsa. This local native plant thrives in poor sandy soils and full sun or partial shade. The red trumpet-like flowers are borne in a terminal head 300 mm in diameter on a leafy flowering stem 2–4 m high. Day lilies - Hemerocallis species and hybrids. 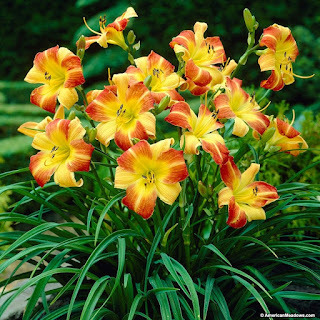 Day lilies have generous clumps of strappy leaves, and tall flower stems with double or single flowers in a wide range of colours.